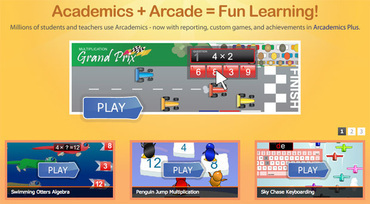 Today students will practice logging into arcademics.com where their math practice work for the summer work will be located. 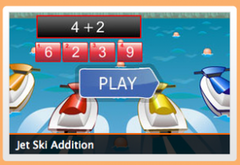 They will also have a chance to try out the activities on the G2 Summertime link on the 2nd grade webpage where more math, money, and time activities are located. 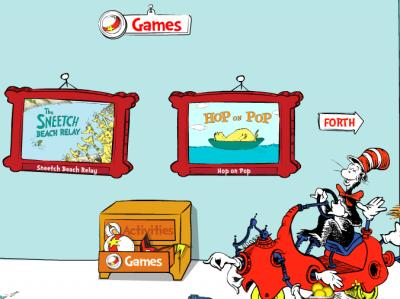 The picture below is linked to the G2 Summertime page. 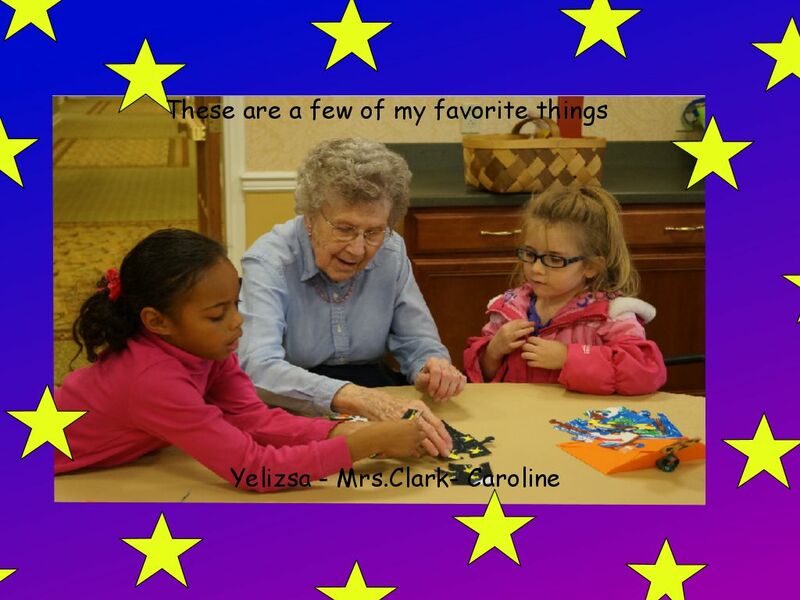 Today the students will work in groups to finish the cover for their "My Favorite Things" project for their "adopted grandparents" at Dogwood Village. 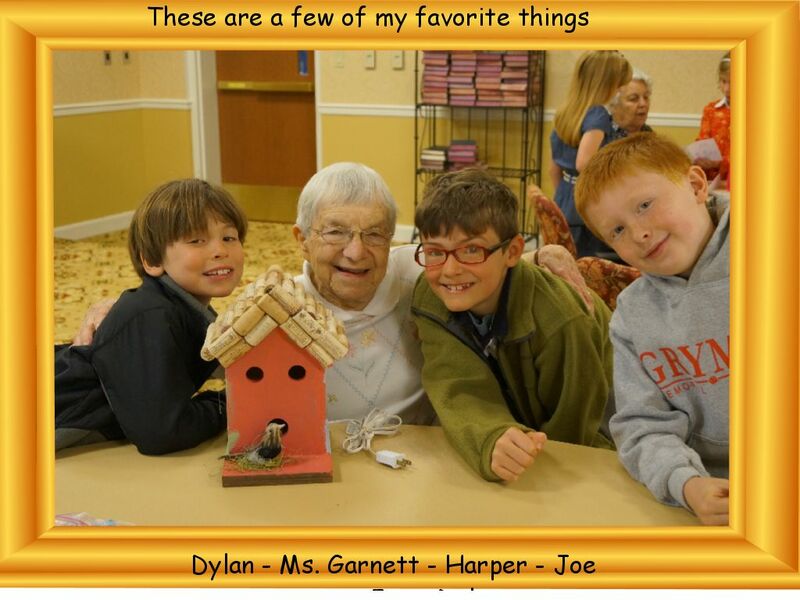 They will be printed out so that the students can present the booklet as a gift to their adopted grandparents during their final visit to Dogwood Village later this week. See examples below of covers that were finished today in class. Today students will begin a new project that they will present as a gift to their "adopted grandparents" at Dogwood Village. 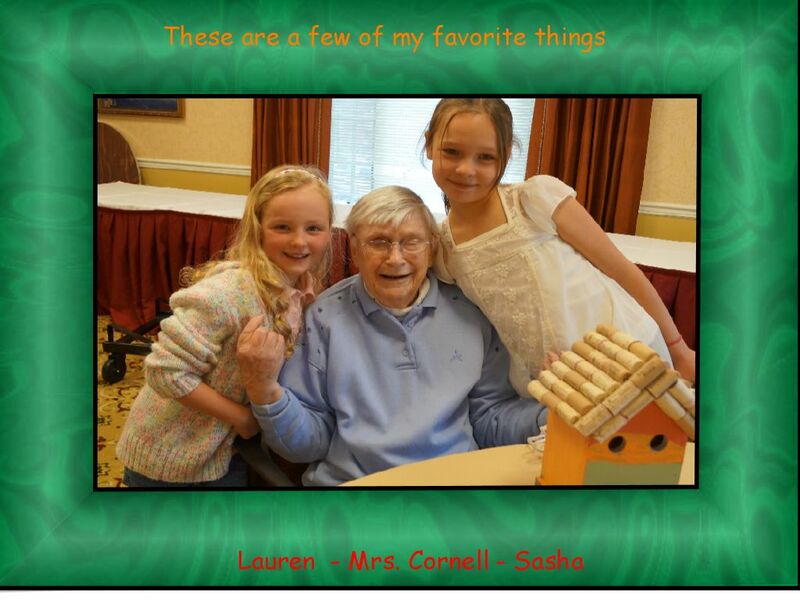 On one of their first visits of the school year, students asked their "adopted grandparents" a series of questions about their favorite things. They will take that information and use Pixie to create a present. Below is an example of the cover of one project from last year. Today I will introduce the class to the concept of spreadsheets. They will learn that spreadsheets are used for information that is laid out in tables and that people use spreadsheets to sort, calculate, and graph. The students will learn 4 new vocabulary words – worksheet, column, row, and cell. We will also do an exercise in which they will start Microsoft Excel, learn to navigate a spreadsheet, identify cells, and enter data which will create a recognizable picture. Each half of the class will remain in the computer lab for an entire period for this lesson. 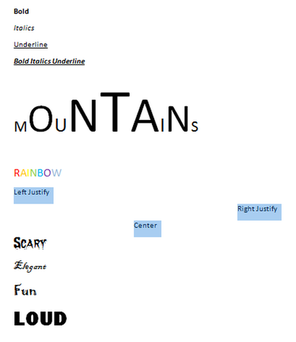 Today the students will continue to explore ways to change text in Microsoft Word documents. They will open the document they saved in their personal folder last week and complete the activity. Today the students are going to be working with text in Microsoft Word. They will learn how to systematically change the way fonts look including use of bold, italics, underline, font size, color, justify, and changing fonts. They will also practice saving the changes they make to the document in their personal folder. 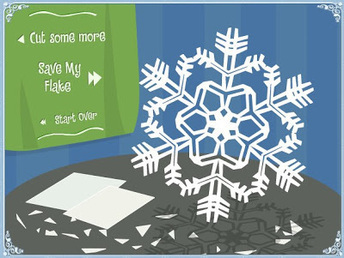 Today students will continue to work on mouse and fine motor skills as they create beautiful snowflakes using the Make-A-Flake online tool. They will then pick a favorite snowflake to use with the snowflake poem they have written for their classroom project.